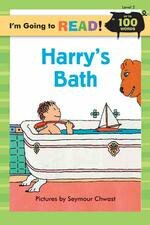 Harry, are you in the tub yet? There's no room in the bath, Mom. If Iget in you'll be sorry. Bath time with a bear?